You know when you did something horrible seven years ago, and you realize it’s finally time to apologize? Well, so does Ben Ramsey. He wrote the lowly regarded Dragonball Evolution and he is sorry, okay? Not only is it rare for people in Hollywood to apologize, it’s even rarer for them to flat-out admit that they did something for the paycheck. True, the fact that he wasn’t a fan really, really showed—but it’s not always a requirement that someone involved in an adaptation be a huge fan. Sometimes that can lead to an inability to recognize what changes need to be made for the new project to succeed. On the other hand, it’s better if they have some familiarity, as well as respect for the material, which was certainly missing from Dragonball Evolution. Just remember, while Ramsey is taking the blame here, never forget that he couldn’t have made it a disaster all on his own. 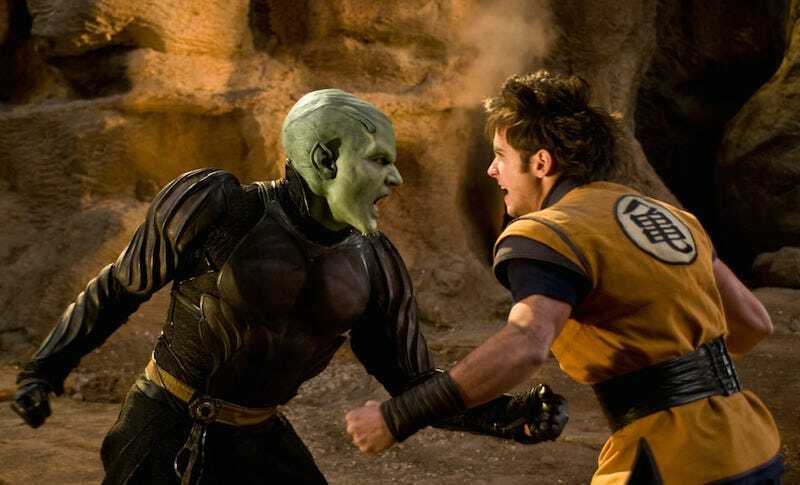 It took a lot of people and a major studio (Fox) making every possible bad decision to end up with Dragonball Evolution. But at least you can cross Ramsey off your shitlist now.